Dominate tournaments with precise valuations for every possible 2, 3 and 4-man daily fantasy football stacks. Access to the Stack Value Reports requires a DFS Subscription. Not a DFS subscriber? SUBSCRIBE TODAY! 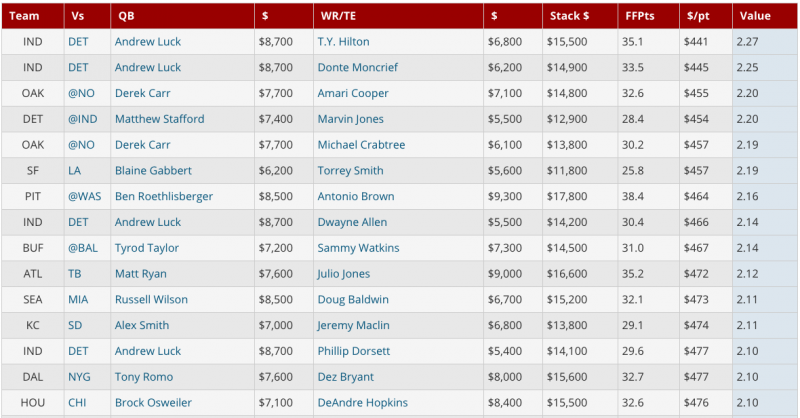 Our Stack Value Reports rank EVERY possible 2, 3, or 4-man stacking combination according to their projected $/point value. Want to splurge on, say, 10 tournament entries this week? Our Stack Value Reports can quickly rank the top-10 stacks of the week. 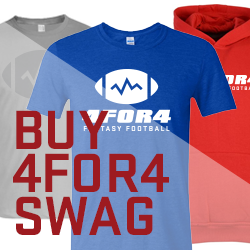 Wondering whether a 3-man stack with Andrew Luck or a 4-man stack with Carson Palmer is a better value? Our Stack Value Reports have you covered!